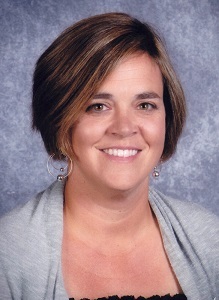 Nancy Baldwin has more than 17 years of teaching experience. A native to Plymouth, Ind., Nancy began her teaching career in Indianapolis after graduating from Butler University. She moved to Carmel, Ind. where she continues to focus on elementary education. Having the heart of a teacher, Nancy believes in the importance of empowering young minds. She understands that when children are young, their love of learning can be contagious to those around them. This philosophy, as well as her own son’s type 1 diabetes, has led Nancy to Diabetes Will’s Way. Sam was diagnosed in 2015 at 14 years old. Diabetes Will’s Way began as the vehicle in which Sam could give back to other kids like him. But, it quickly became an organization that empowered Nancy. As Diabetes Will’s Way grows, Nancy will be an integral member of its community youth outreach. Nancy recognizes the importance of establishing a program that connects children who struggle with type 1 diabetes with other children who live a similar life. Every day her goal in her classroom is to create a positive learning environment. Diabetes Will’s Way has provided her with a new audience of learners who can collaborate and work as a group to spread a lesson of hope.